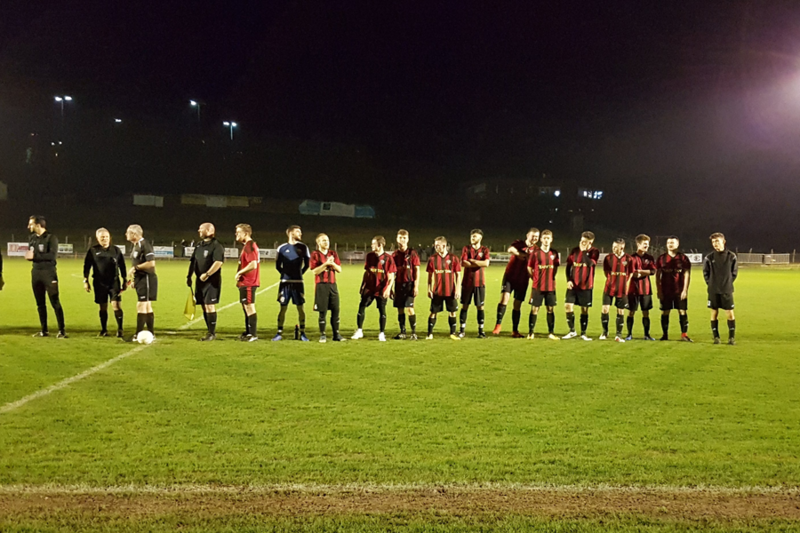 The final game of South Coast Athletico’s second season had arrived, the opponents were Eastbourne’s Victoria Baptists, the match was the final of the Wisdens Sports Junior Cup and the ground was Hastings United’s. The two teams had already played each other twice during the season, Baptists leading by two goals in both fixtures, with the Chopbacks coming back to win and draw respectively. 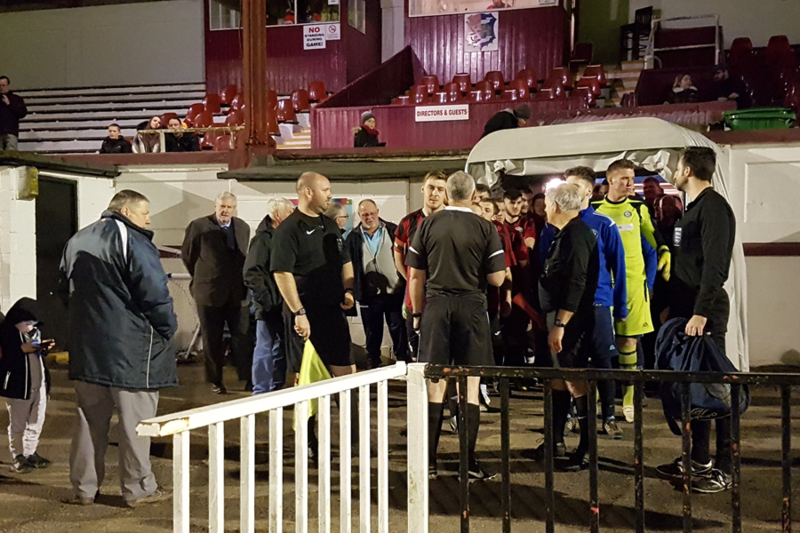 Naturally the sense of occasion generated significant excitement and a reasonable number of spectators including many friends and family of the players who had turned out on a Tuesday night just added to the atmosphere. From the start Victoria Baptists applied relentless pressure on South Coast which resulted in them winning several corners in among many free kicks, with the Chopbacks having very little possession as their nerves were clearly on display. Early drama saw Chopbacks ‘keeper Ben Tate make an absolutely stunning save from a fast paced, diverted cross. Then 13 minutes in, a poor challenge was made by South Coast which saw them concede a distant free kick. The ball played across the edge of the box to find the only un-marked Baptist’s player who dutifully controlled and fired the ball past a diving Tate, giving Victoria Baptists the lead. Baptists continued to apply the pressure, but had very few chances to speak of for the reminder of the first half. At the other end there was little service for South Coasts forwards as the Chopbacks just couldn’t seem to find sufficient composure to keep the ball for the majority of the first half. As the second half got underway the boys looked a little more relaxed, but were missing a little tempo and drive. Big games need big players and up stepped substitute Ryan Penny who straight away began to create problems for Baptists by hunting every midfield ball around him. Moments later, substitute Ryan Fuller was subbed on with the simple instruction ‘attack’! It was in the 70th minute the Chopbacks found themselves probing Baptists area, the ball played in and ricocheted off several players in the now crowded box, Chopbacks’ captain Dayle McGurk scuffed the ball into the net restoring South Coasts’ hope of getting something from the game and while South Coast had a couple of half chances before full time, but the opposition goalkeeper made some fine saves. In the first half of extra time the Chopbacks took the initiative as Baptists began to tire. Several chances were created and had the crowd on the edge of their seats as somehow Baptists managed to prevent the ball hitting their net. Two minutes into the second half of extra time, centre back Georgie McDonagh played a classic route one ball over Baptists defence of which striker Connor Easton coolly slotted home, past the keeper to give South Coast a 2-1 lead. Baptists had a chance at the other end moments later but Tate wasn’t having any of it. In the 111th minute, again the ball found a breaking Easton, who rounded the keeper, and from an almost impossible angle fired his curling shot away which hit the post, deflecting away from goal, but a wave of Chopbacks flooding in to reach the second ball found Ryan Penny to tap the ball over Baptists’ line to increase the score to 3-1. 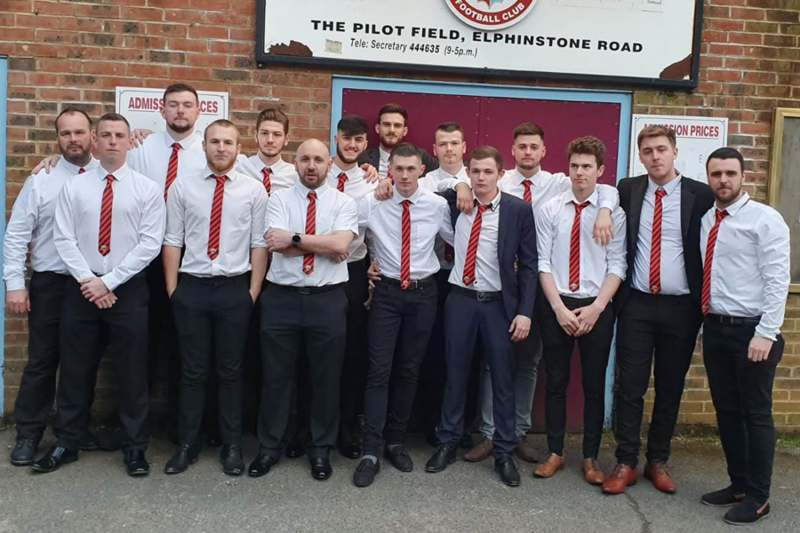 From the dug-out South Coast’s management switched the shape and instructed their final substitute Callum Homewood to sit in as a defensive midfielder with Lee Finnigan to prevent the opposition from having any more attacks. 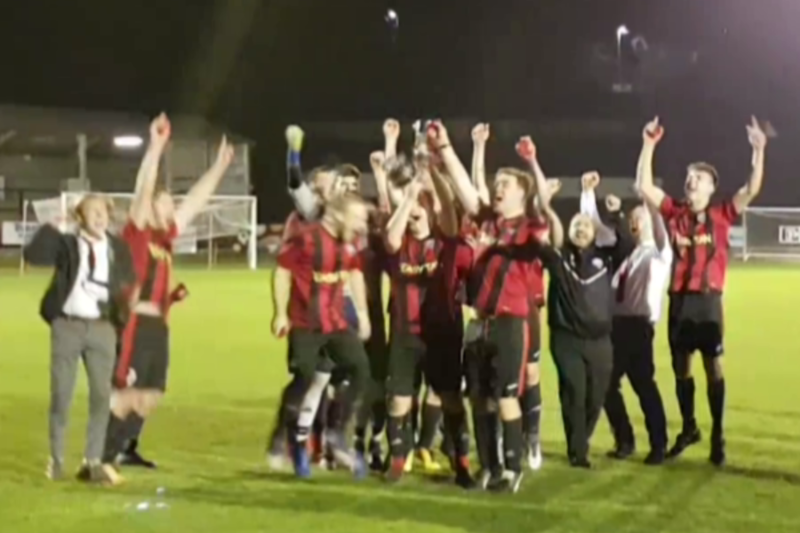 Just 10 minutes later the referee blew his whistle and the Chopbacks had their first trophy in addition to consecutive promotions. 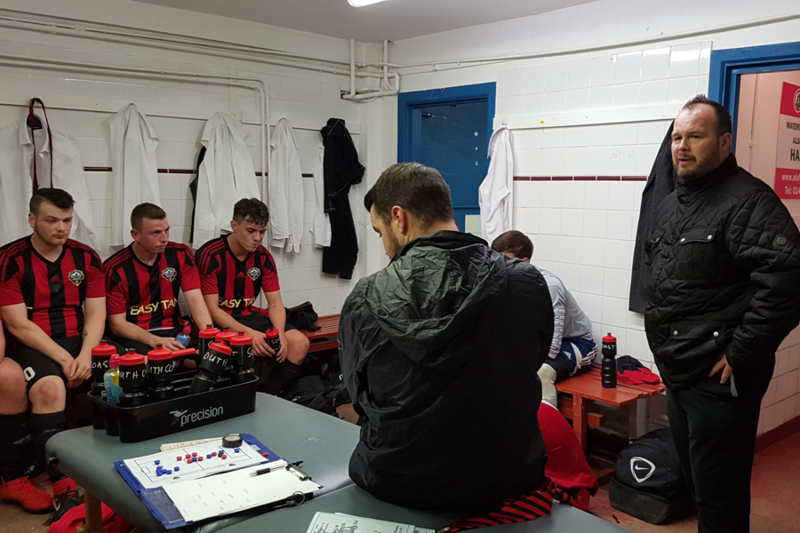 After the game South Coast Manager Neil Sutcliffe gave praise to his men saying: “Despite not playing perhaps their best in the first half, they never gave up, kept pushing and showed that work rate, heart and desire can overcome even the toughest of battles. 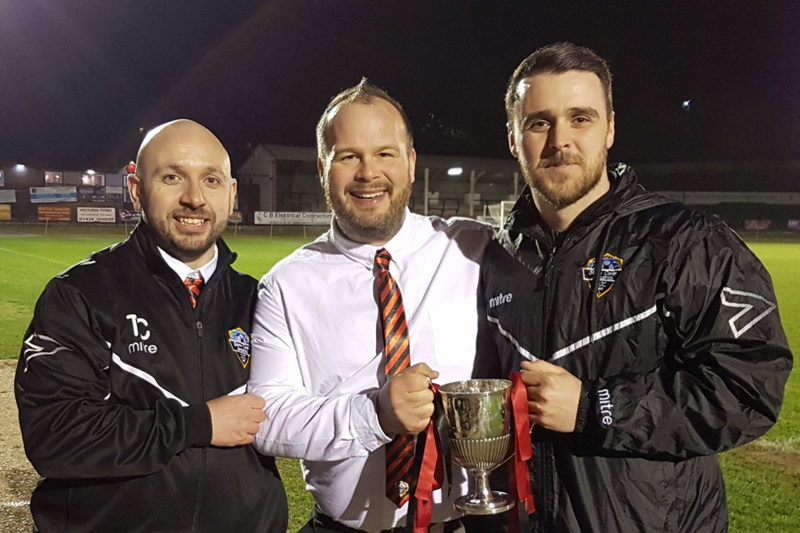 “I am very proud of each and every player for their contribution, hard work and commitment to the squad, and the management too without whom there would be no club.